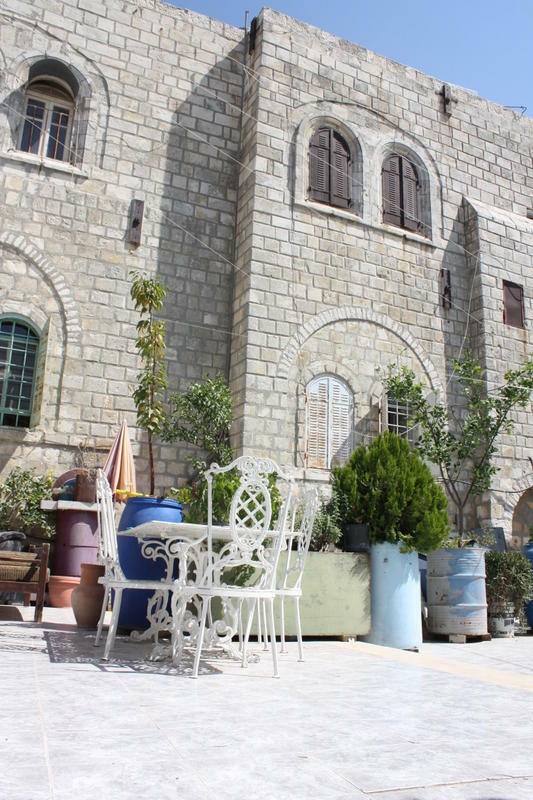 Lonely planet on Hebron Hostel: This venerable old hostel, with a magnificet stone interior, is buried inside the Muslim Quarter's Souq Khan al-Zeit. Inside, the hostel has kept it's old arcitectual shape, dating back to as early as the Roman ages. 1st floor: Tea/coffea- and shisha room, with food also avalable. Internetcaf or free use of our WiFi-connection. 2nd floor: Reseption with free WiFi-connection, foaj, common livingroom with sofas and a refridgiator, private lockers, bathroom with showers, 8 rooms and dorms. 3rd floor: Roof terrace, private lockers for the guests, 12 rooms with and without private bathrooms. 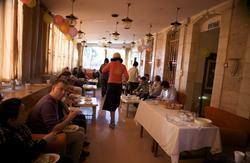 The hostel also arranges tours to different places in Israel and Palestine, and has a laundry service. Bring your own food and drinks to the hostel - but no eating or smoking in the rooms. Check in is at anytime, but reception closes (see below). Contact us regarding your arrival time. The doors close at 01:00 a.m., but alternative arrangements can be made. Passports are required at check-in. After Entering Jaffa Gate, continue forward until you reach David Street (pedestrian path), keep going down your path until you reach the end of the street. There you will find the entrances for Souk El Lahamin, Souk El Attarin, and Souk El khawajat. Enter through the middle one, Souk El Attarin. Continue straight passed the end of the Souk, and into the Via Dolorosa/Souk Khan El Zeit. You will find our sign greeting you, turn right, and you will find our front door within a few steps.